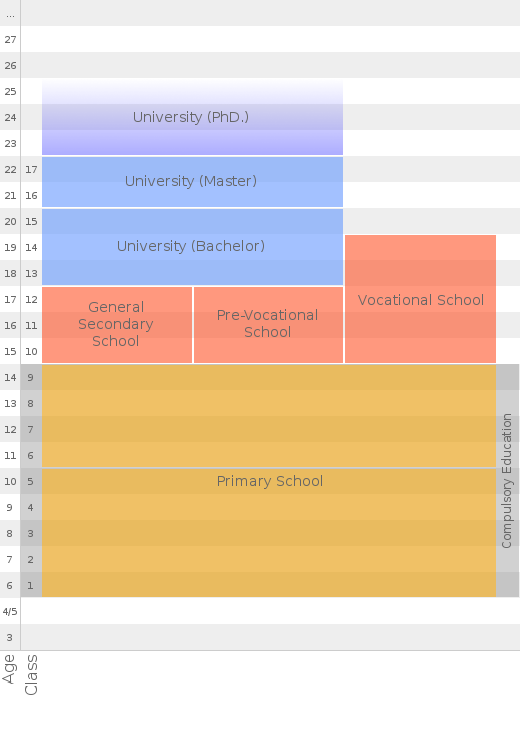 An average day in primary school is organised in 45 minute blocks, typically starts at 08:00 and ends at 13:00. Grading system 10 (best) to 1 (worst) is used. Most schools make use of school uniforms. Counselling is available to students. In General Secondary schools, the first year is a preparatory year with 14 subject covering the full range of knowledge. For the last two years, the student can choose Natural Science or Social Science Profile.